Here's our latest Millboard composite decking installation! Here’s our latest Millboard composite decking installation! Our customer’s existing timber deck was beginning to rot, warp and had become slippy to walk on. Composite decking, on the other hand, provides all of the natural beauty of timber without any of these potentially dangerous risks, so using Millboard’s fantastic product was a no brainer! As this decking area needed to cover a fairly large height from the house, we included three small flights of stairs into the design to provide an easy access to the garden. 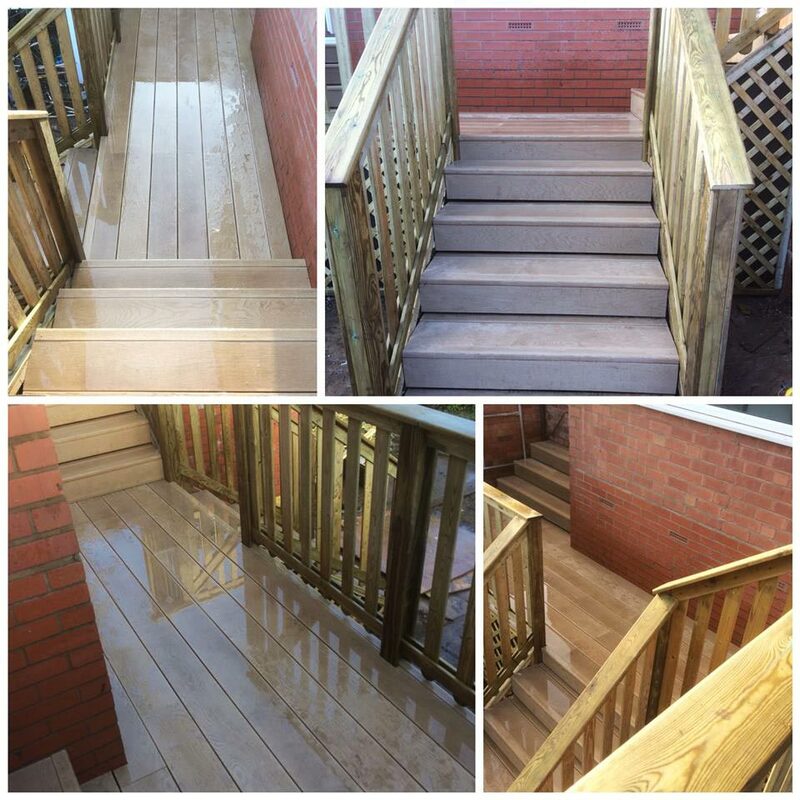 Our customer opted for the gorgeous soft tones of Golden Oak for the balcony and steps and we completed the look by installing soft wood balustrades from the side of the house down to the garden. Another satisfied customer thanks to the hard work put in by our landscaping team! If you’re interested in having composite decking installed then please get in touch.